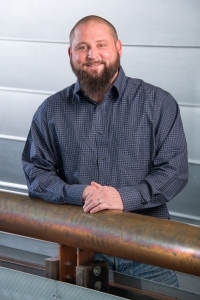 Evan Jones is the Estimating Manager for Midstate Mechanical, Inc. In this role he manages the estimating platform and process including management of historical cost information utilized to provide timely and current budgeting information to our clients. Evan is active in gathering and tracking all cost information continually processed as part of the Midstate’s bidding procedures for each specific project. Overseeing the day-to-operations of the estimating team, he provides leadership and mentoring. Other duties include client tracking, enhance client relationships, maintain database for accuracy and competitive estimates, track local and out of area construction costs and trends. His vast involvement across all Midstate projects enables our team to share in the most current and accurate cost information and trends available across all of the various product/system types. Evan has learned the operation from the ground-up, working in several major roles. He has served as a junior and senior estimator bidding on major projects for the new construction division. As part of the executive committee, he participates in the forecasting and strategic planning for the company. Evan attended Gateway College receiving his Associates in Applied Science, Commercial and Industrial Air Conditioning Facilities.